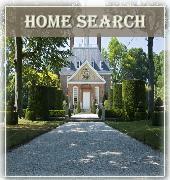 The Hampton Roads region saw an increase of 8.53% in closed home sale for March 2013 when compared to March 2012. Of the region’s seven major cities (Chesapeake, Hampton, Newport News, Norfolk, Portsmouth, Suffolk, and Virginia Beach) Portsmouth and Suffolk recorded the highest year-over-year increases of 27.03% and 13.10% respectively. Hampton and Norfolk were the only two cities to experience year-over-year decreases, dipping 21.60% and 2.68%. Residential closed sales are up 10.71% for the first quarter of 2013 (January-March) when compared to first quarter 2012. The residential median sales price is currently $199,000, a considerable increase of 7.57% from March 2012’s $185,000. Last month’s largest statistical improvement was in residential under contract sales, with a year-over-year increase of 12.84%. Portsmouth and Newport News saw the largest increases of 36.17% and 18.18% respectively. . The region saw a drop of 8.62% compared to last year for active home listings. Newport News and Chesapeake contributed largely to this decline, with recorded reductions in inventory of 18.75% and 17.71% respectively. The overall decrease in the number of homes for sale has resulted in a 6.38 months’ supply of inventory, as compared to 7.57 months in March 2012. A balanced real estate market typically maintains a 5 to 6 months’ supply of inventory, so this statistic does suggest a stabilizing market for the area. Short sales & foreclosures, continue to have an impact on the region, while maintaining a relatively consistent market share. In March 2013 25.20% of all resale residential active listings in the Hampton Roads real estate market were distressed properties. This is little change from March 2012 when distressed properties accounted for 25.73% of active listings. These statistics are based solely on on listings entered into the Real Estate Information Network by REIN broker members. The geographical area includes southeastern Virginia (Norfolk, Virginia Beach, Chesapeake, Portsmouth, Suffolk, Franklin, Smithfield, Isle of Wight, Hampton, Newport News, York County and Poquoson) to Williamsburg, James City County, Gloucester, Middlesex, Virginia’s Eastern Shore and northeastern North Carolina. Reports include all property types: Attached and Detached Residential, Duplex, Apartments, Commercial, and Land & Farms. Psst…. .I’m a real estate agent.